The Galapagos Islands are famed for Darwin’s scientific discovery and the number of endemic species contained at this gorgeous location is spectacular. The waters around the Galapagos Islands are densely populated with a wide range of distinct marine creatures such as sharks, turtles, iguanas and seals. This region is also largely a protected marine reserve where commercial fishing is essentially non-existent meaning the area is teeming with healthy and plentiful marine life. Since the Galapagos region is a volcanic island chain, the water is nutrient rich and therefore supports a wide, plentiful range of life. 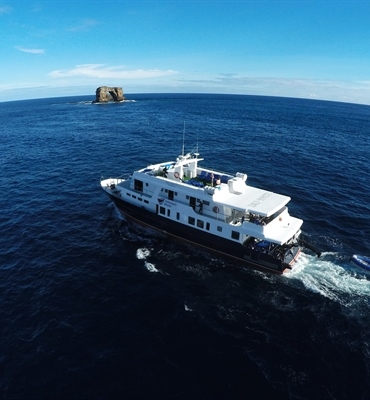 With top naturalist guides diving the Galapagos Islands, a destination with massive pelagic interest gives divers excellent diving and naturalist itineraries. Danubio Azul is a tourist class yacht offering a first class service. 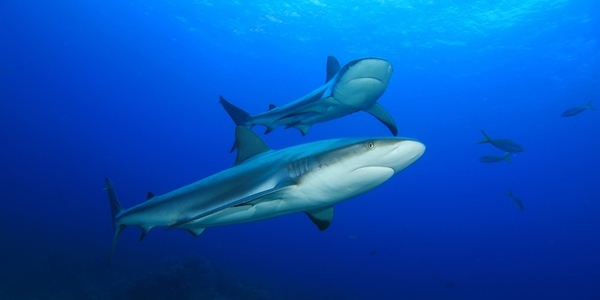 Your underwater adventures in the Galapagos will encompass everything from sharks to nudibranchs, and more. 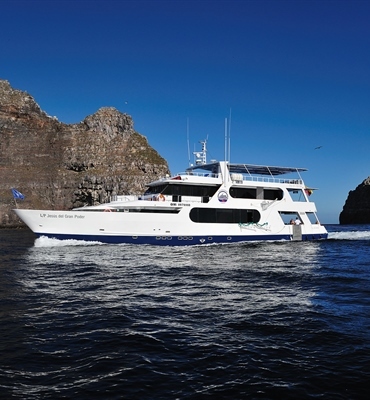 The Humboldt Explorer offers a fantastic diving experience. Unforgettable adventure guaranteed! 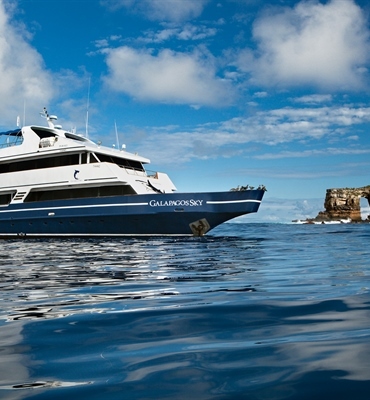 The popular M/Y Galapagos Sky is a 30 metre luxury motor boat specially built for diving. 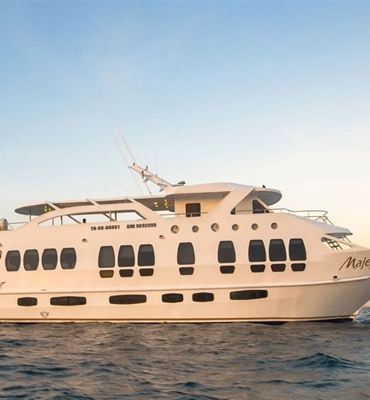 A week aboard offers you and adventure if a life time in absolute style and comfort. 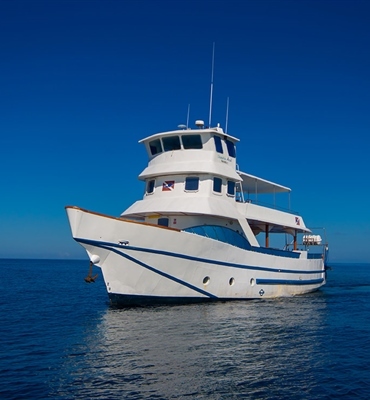 The elegant & spacious 16-passenger liveaboard with 8 cabins featuring en-suite bathrooms, ocean views and air conditioning. 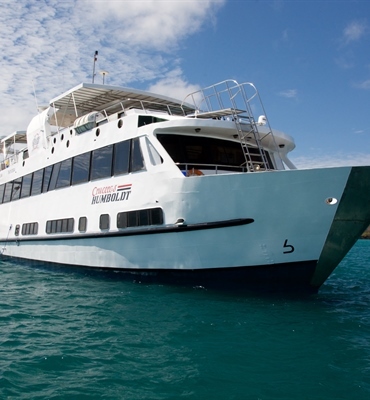 M/V Majestic Explorer Galapagos features a dining area, lounge/entertainment area, bar, large dive deck and a jacuzzi.